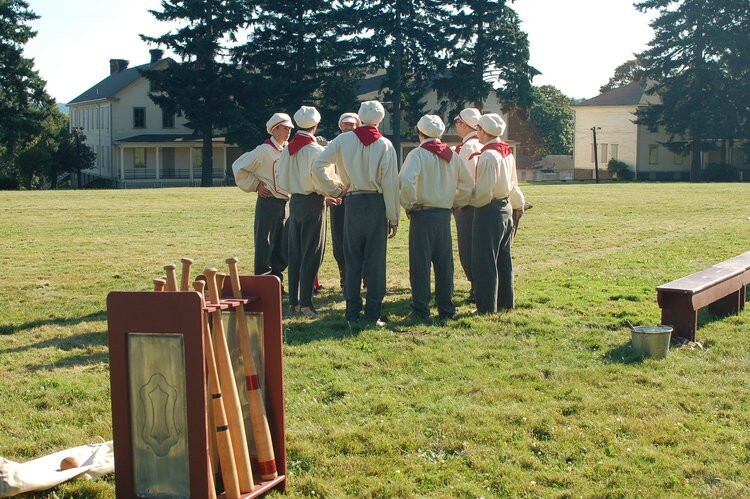 Yes - the vintage term is base ball - two words! Check back for the time the game will begin on July 21, 2017. Check out the Vintage Baseball Association for the rules and more information. Thanks to the Fort Vancouver Costume Guild for the creation of the uniforms. Coming to watch the game will take you back a step in time.